Mango and Passion Fruit: Burlap or not burlap? In my last trip to Horncastle (my personal arts & crafts version of paradise) over Christmas, I stocked up in some supplies: different ribbons, original colour felts, lovely buttons and... burlap! Or, as I found out, hessian - apparently that's how it's called here in the UK. Living and learning. 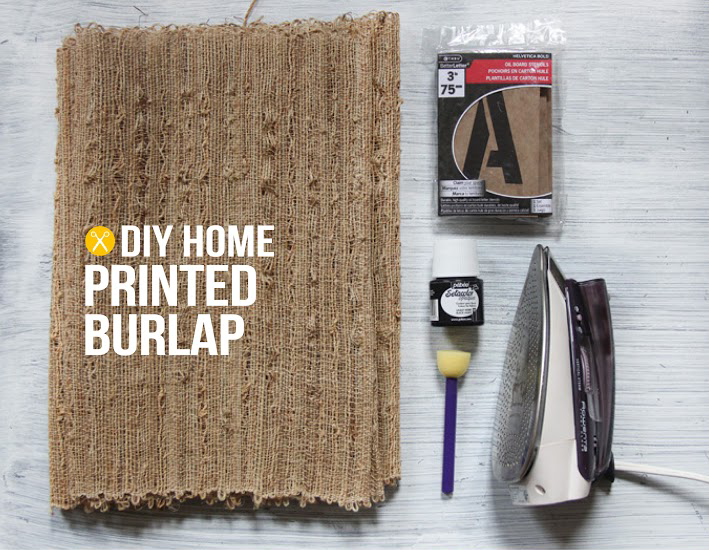 This tutorial by Jenni, from I Spy DIY is straight forward and opens up a world of possibilities with burlap... (ops! hessian). Think of how many wedding decorations, cushions, place-mats, storage bins can be decorated using this technique! 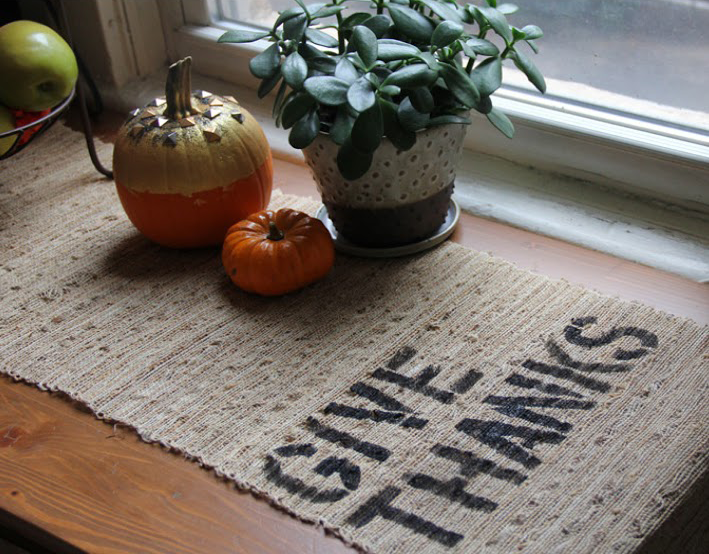 The table runner she shows us how to do is just the start of an entire collection, if you have the time & energy! The materials are the ones you can see in the picture, just follow the link above for the "how to".